Kotobukiya held an 'Governors Guide' briefing at All Japan Model & Hobby Show events introducing their upcoming original new products. Dengeki Hobby Web also has a post showing each photo slides presentation from the event so you guys can check it out. Now, let's break down some of the details we going to expect from the products to be release next year translate from Google about HEXA GEAR. 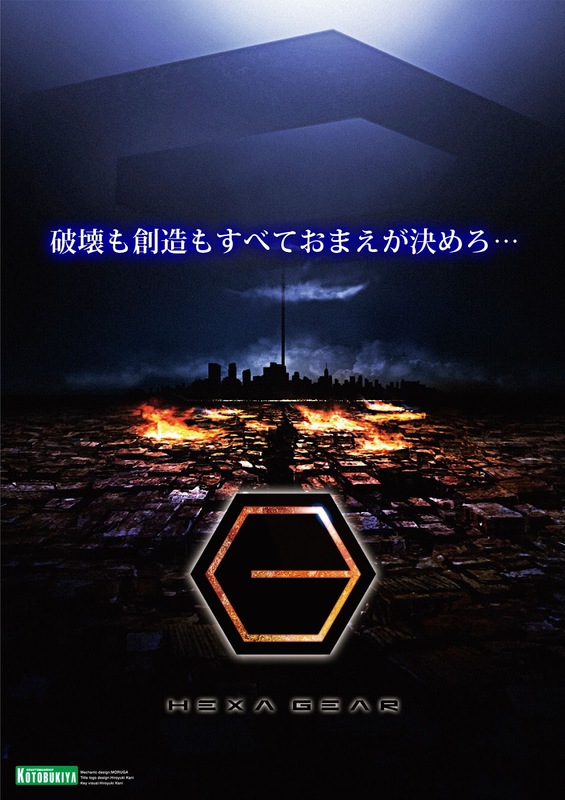 They are using the new design M.S.G (Modeling Support Goods) hexagonal joint system that found in first released Gigantic Arms. 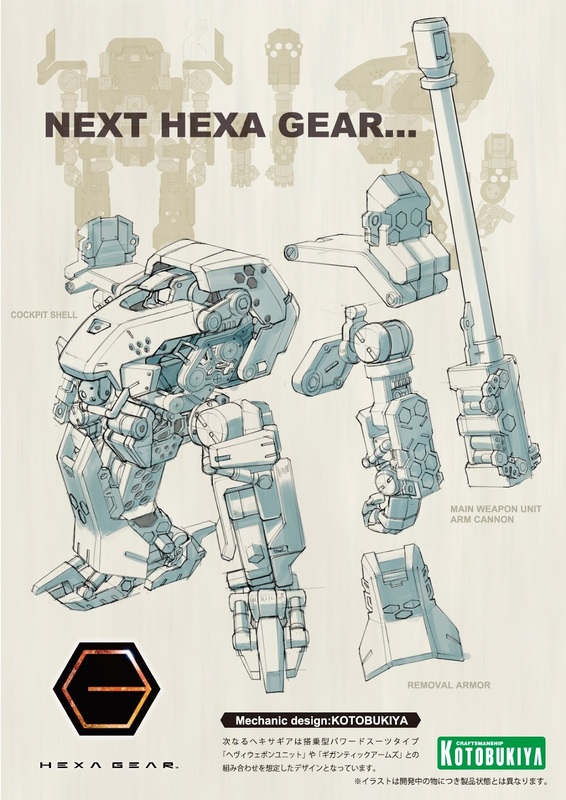 As you can see the hexagonal joint system comes with support 3 mm pipe hole which means the existing Frame Arms and Heavy Weapons units are compatible with Hexa Gear. 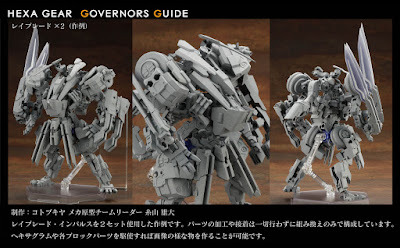 The pilot is known as Governor and will be release in 1/24 scale action figure. It stand around 72 mm height with 3 mm hard point located at the back. For your information, the action figure will sold separately. 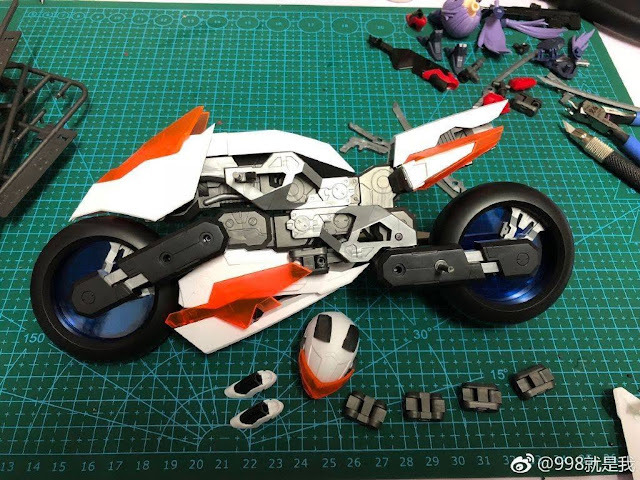 Are the beast and machine also release as action figures or plastic kits? Possible action figures. 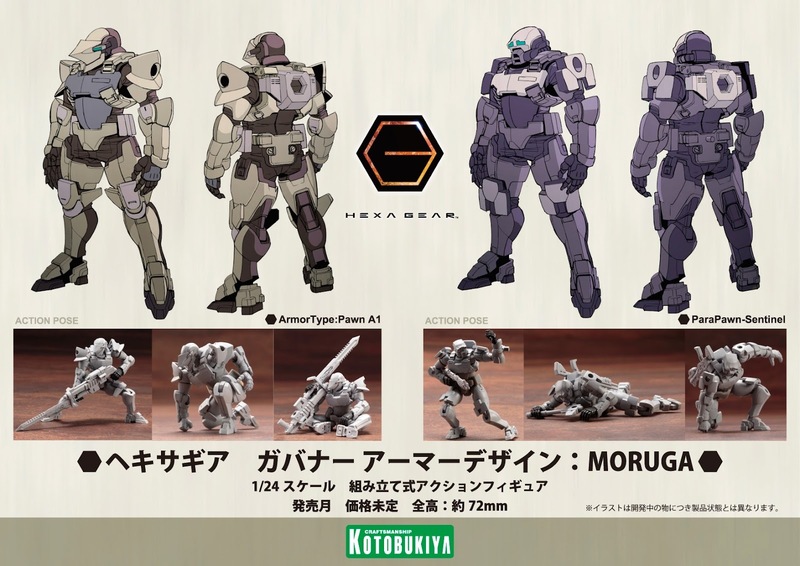 Kotobukiya teams didn't mention the Hexa Gear going to be made with PVC plastic. It could be weird releasing it as palstic kit when your figure is PVC action figure. I may be wrong because looking at the picture. 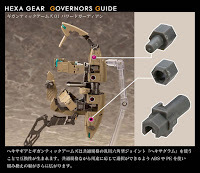 Other possibility are might release similar Revoltech Assemble Borg like since you can mixed and combine into anything. The picture below is one of the toy example construct using two Ray Blade Impulse. 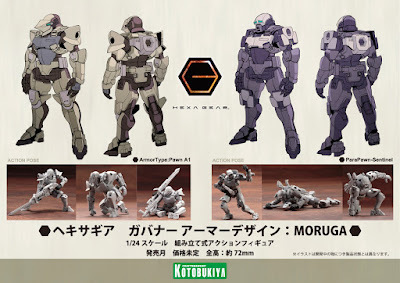 I thought next mech line from Kotobukiya will be Buster Dress. Never heard Hexa Gear before... will follow it time by time. 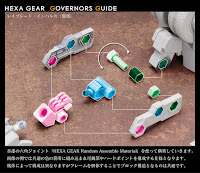 I kinda hope the Hexa Gear beast and machines themselves to be pre-assembled toys with the accessories. As much as I would like to build them as plastic model kits I believe being pre-assembled would be better suited for its purpose. This line to me is quite similar to Transformers Titan's Return. 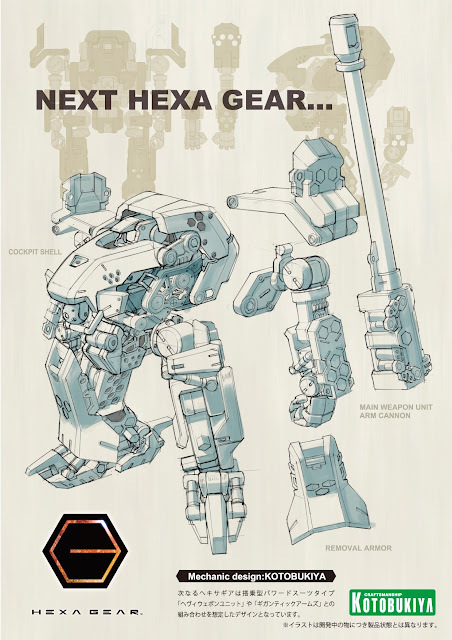 There is a number of play value, customization with these Hexa Gear not to mention the pilots themselves. This looks like it's more suited for playing as toys rather than for display. But that's just me. Kotobukiya tried this with Zoids called the Zoids Blox. Parts are pre-assembled, but highly customizable. Gonna follow this casually. 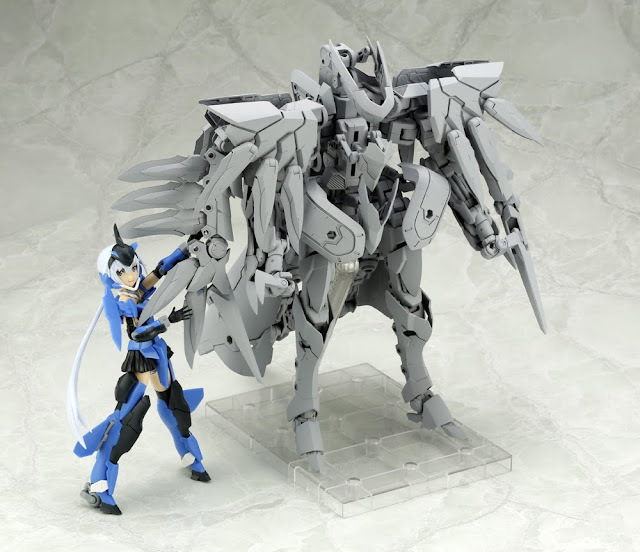 Zoids Blox wasn't made by Kotobukiya. That's by Tomy back in the early days of 2000s. The only Zoids Kotobukiya made was HMMs. 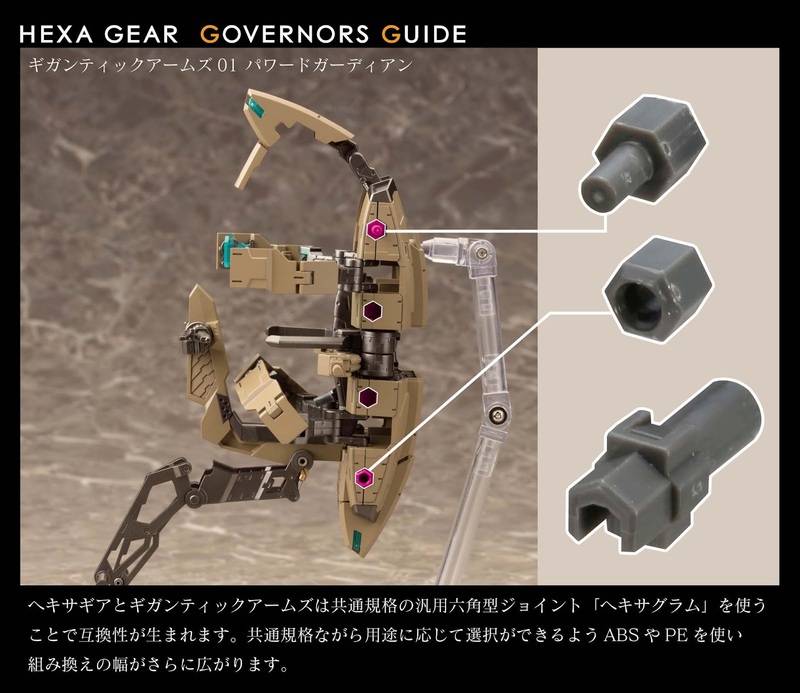 They are compatible with Frame Arms MSG accessories but are 1/24 scale so the Governors will be half the size of a Frame Arms Girl. I wish they kept the same scale because they'd look pretty cool together. Please do not SPAM! Thx!